On Sale Now! 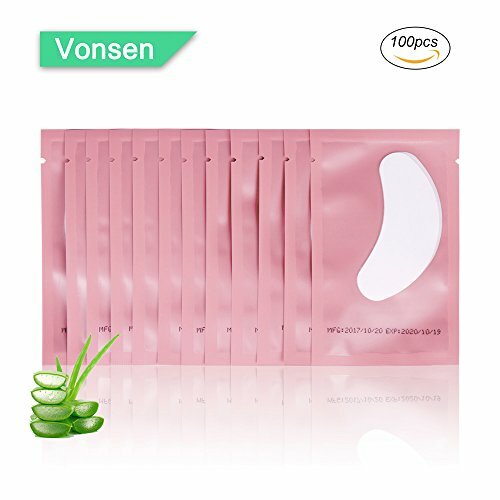 Save 6% on the 100 Pairs Set Under Eye Pads, Comfy and Cool Under Eye Patches Gel Pad for Eyelash Extensions Eye Mask Beauty Tool (Pink) by Vonsen at Lash Beverly Hills. MPN: EXPSD001824. Hurry! Limited time offer. Offer valid only while supplies last. Functions: 1. Professional Grafting Eyelash Eye Pads. 2. Stick below the eyes, prevents eye shadow powder falling and avoid breaking makeup look. 2. Stick below the eyes, prevents eye shadow powder falling and avoid breaking makeup look. 3. Stick below the eyes, make it more smooth when you are putting on eye liner. 4.Disposable goods, clean and healthy. These Eye Pads gives client a comfortable eye treatment during the eyelash extension application process. Really easy to use, very cool, no lint and they stick great to face! MOISTURE COMFORT: Stick down good and hold all the lower lashes down for lash extension procedures and they do not lift up or move and they do not ooze into your eyes. Makes your skin feel cool and refreshed. SANITATION: Each pair is individually wrapped in foil packaging. Completely sealed aseptically packed, Great for lash extensions, lash tinting, and lash removing! Eye Gel pads patches for professional lash technicians, perfect for eyelash treatments, 100% brand new with good quality, it is suitable for use everyday. If you have any questions about this product by Vonsen, contact us by completing and submitting the form below. If you are looking for a specif part number, please include it with your message.